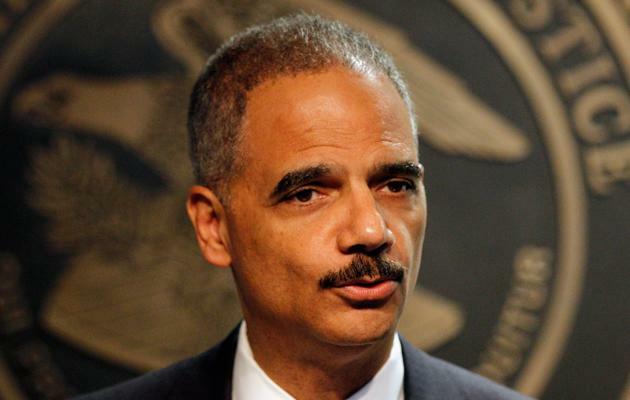 "Under the proposed law, concealed handgun licenses would be acceptable forms of photo ID, but student IDs would not," Holder said. "Many of those without IDs would have to travel great distances to get them, and some would struggle to pay for the documents they might need to obtain them. We call those poll taxes." Mitt Romney will speak before the NAACP on Wednesday. Jealous, who posits that Romney could garner more votes from African Americans than John McCain did in 2008 when Barack Obama received 96 percent of the black vote, believes Romney's economic message has not played well so far. "If he's going to pick up more support in the black community," Jealous told the Times, "he has to send a message that he's prepared to lead on issues that we care about." For Jealous, that means opposing voter ID laws. Romney has so far been reticent to discuss the issue. Andrea Saul, a campaign spokeswoman, told the Times only, "Gov. Romney believes that every legal vote should count."